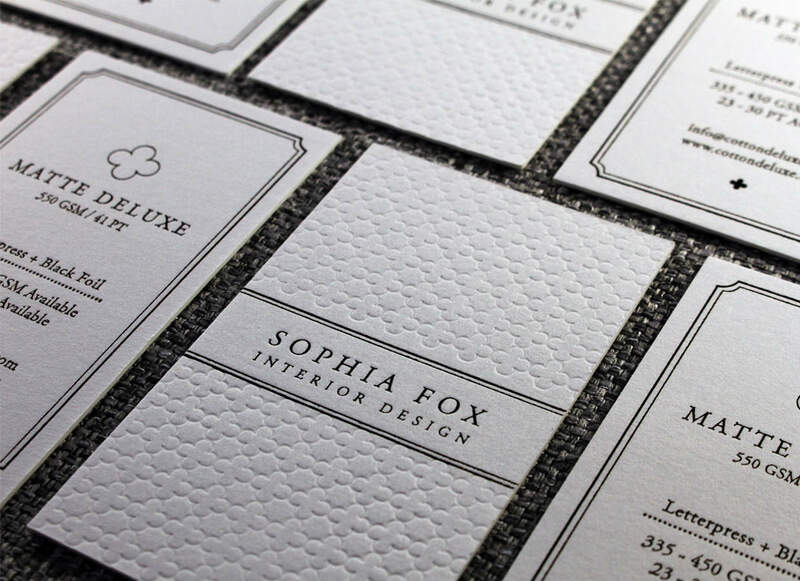 You will not be left out of pocket as we pride ourselves on offering the absolute lowest prices on letterpress printing services for our valued customers all around the US, ensuring this elegant business card design is available to you at an affordable cost. Our most loved signature papers include German imported Gmund, 100% Cotton available in a range of thickness from 14PT to extra heavy 38PT. 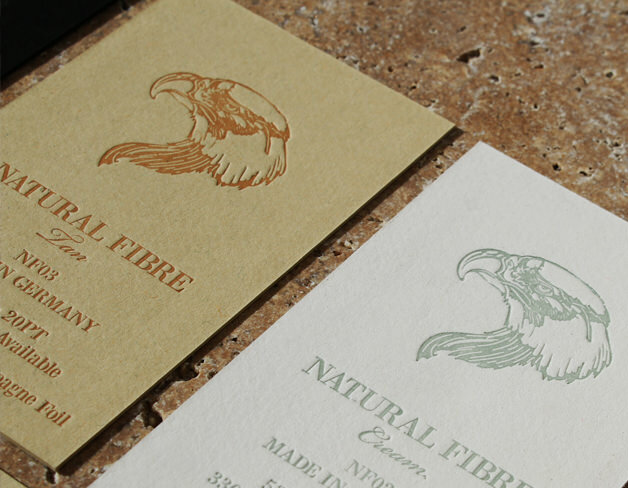 Our letterpress paper collection comes in variable range of natural and organic textures as well as colours and hues. Order your paper samples now to appreciate the quality of our impression and uniqueness of our paper textures we made available specifically for this printing process.